All joshing aside, I have to admit that I'm kind of fond of my housemate and best bud, Tanner. This past week he had a birthday. Mom and I planned a party, meeting a group of our friends at one of our favorite play spots, and of course the worse did happen. We got rained out. Just as we arrived, the thunderheads opened up and darkness descended. I can hardly believe that mom was able to snap these pics in the back end of her Prius. You can certainly see that it was dark. them all. Yup! Well, in truth, one fell out of the car into the dirt, but I got 2 and Tanner got the rest. They were awesome. Mom topped them with a piece of our Natural Balance Organic kibble to make sure we understood they were food. Who did she think we were? I have a nose that has been certified at the top of the class. Really! More about that soon. So now that Tanner is 7, any tips on how I should be treating him? Do I have to curtsy or call him "Sir"? I don't see that happening. I hear that dogs are sometimes considered seniors at 7; sounds awfully early to me. And frankly, when I see Tanner take off after the ball at the dog park, there's no sign of an aging dog there. Let's hope it remains that way for many happy years to come. Happy Birthday Tanner. You're my main man. 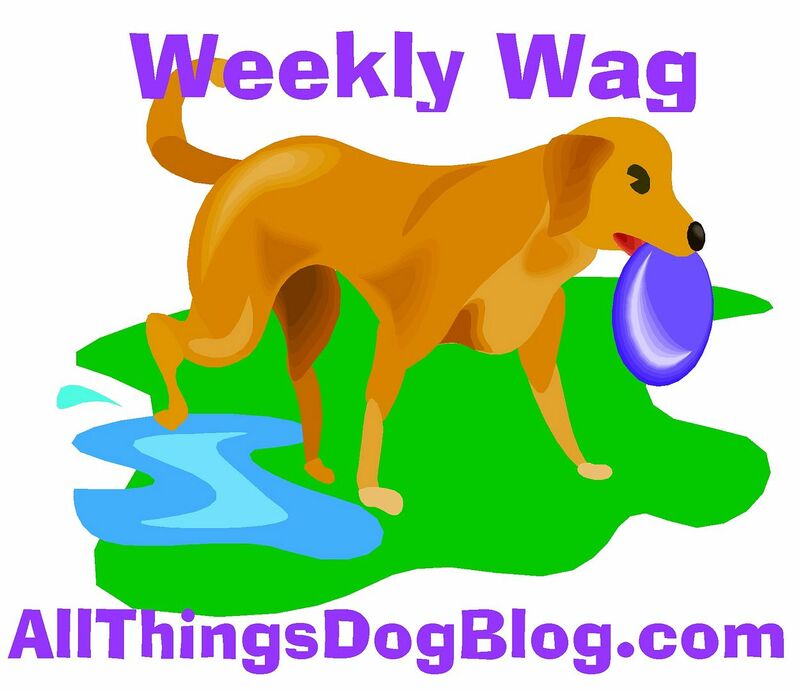 Watch for upcoming posts at All Things Dog Blog, when mom returns from her tour of Natural Balance. We can't wait to hear all about what she learned.